embroidery wedding cake worth £550 (right). by vintage hair stylist Sarah Dunn. need to eat bunches of kale – ‘too strong and bitter’, she says. recipe is in which book’. just the thing to cheer up our Spring Gardening special in March. 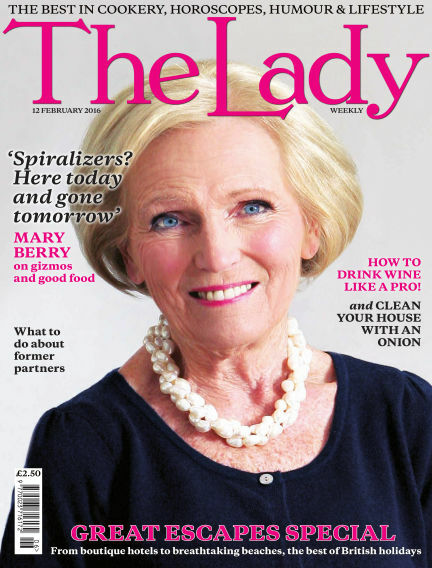 With Readly you can read The Lady (issue 12th February 2016) and thousands of other magazines on your tablet and smartphone. Get access to all with just one subscription. New releases and back issues – all included.